Identification and classification of hazardous wastes are based on matching the chemical composition and properties of the waste with published regulatory criteria. There are also a complex set of requirements for some wastes (like their prior contact or mixture with other hazardous chemicals or their concentration) which determine if they are hazardous or not. Hazardous wastes are classified both by name (i.e., they are listed on one of the RCRA lists) or have one or more of the four characteristics of a hazardous waste: ignitability, corrosivity, reactivity, or toxicity. Wastes containing chemicals that are "listed" will typically remain hazardous. Wastes that have one of the characteristics of a hazardous waste would no longer be classified as hazardous if it no longer had that characteristic. This discussion is involves a very limited class of hazardous wastes: chemical compounds and solutions of these chemicals used in a chemical laboratory, for example, an academic teaching laboratory. We are dealing with characteristic wastes only. Even though most hazardous wastes generated in the laboratory must be segregated and stored according to certain criteria prior to disposal, there are some waste streams from the laboratory that although are intrinsically hazardous wastes, they may be treated in such a manner that would remove the "characteristic" that makes them hazardous. For example, a waste stream containing acetic acid is hazardous because of the characteristic of corrosivity defined as a waste with a pH of less than 2 or greater than 12.5. Another waste stream of a 10% solution of ethanol in water is hazardous because of the characteristic of ignitibility (flammability) defined as a waste with a flash point of less than 140°F. Certain other rules apply in the handling and disposal of hazardous wastes: liquid wastes may not be diluted with water in order to remove the characteristic nature of the waste. However, it is permissible to combine two or more distinct waste streams, which individually qualify as a characteristic hazardous waste, but when combined no longer bear their respective characteristic and are therefore no longer classified as hazardous waste. As an example: A generator produces hazardous waste solutions from various academic laboratory courses. The generator maintains hazardous waste satellite stations of halogenated and non-halogenated (flammable) solvents for disposal. Two of the stock solutions from a biochemical experiment are leftover at the conclusion of a laboratory session. One is 1L of Waste Stream A consisting of an aqueous solution mixture of 2M ethanol, 0.5M pyridine, and 5M acetic acid. The other waste stream is 2L of Waste Stream B consisting of an aqueous solution mixture 1M sodium carbonate, 8.0M methanol, and 2.0 M isopropanol. Neutralizing the acid in Waste Stream A or the base in Waste Stream B alone will not sufficiently dilute the alcohol to a flash pt < 140°F. Furthermore, the aqueous alcohol mixtures in both Waste Streams A and B contain alcohols at sufficient concentrations to be flammable but too dilute to be added to the non-halogenated satellite waste solvents. 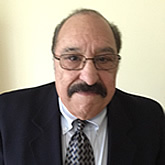 Gerard A. Macri is a Forensic Chemist with 40+ years' experience and a comprehensive understanding of the physical and/or chemical properties and behavior of various substances to assist in the support and vindication of the client's claim. Dr. Macri has served as an expert witness for liability claims on behalf of plaintiff / defendant attorneys, as well as insurance companies.